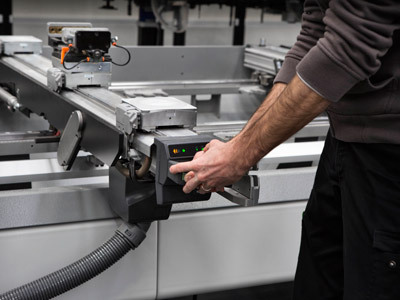 The game-changer with the Selco WN 6 ROS is that we have kept the frame of a standard machine but replaced the air tables, so everything can be done by the robot instead of an operator. Many companies who exhibit at AWFS are known for demonstrating woodworking machines they herald as new, innovative or improved. 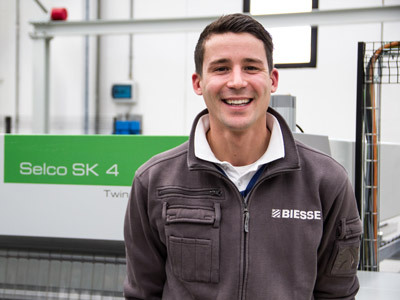 But this year Selco Product Area Manager Paolo Pezzoli and the team at Biesse are showcasing something that truly lives up to being described as “revolutionary.” They have worked nonstop to introduce their new WN 6 ROS Panel Saw with Integrated Robot to Europe at Ligna 2019 in Germany. At the AWFS Fair July 17-20 in Las Vegas, it will be North America’s turn to get a firsthand look at a product that will go down in history as a woodworking game changer. 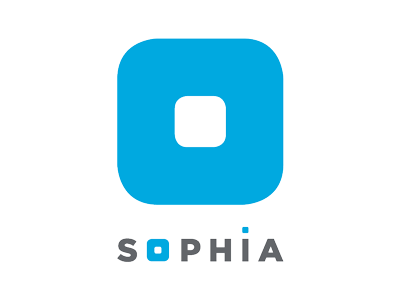 The way the machine is designed also enhances operational efficiency. 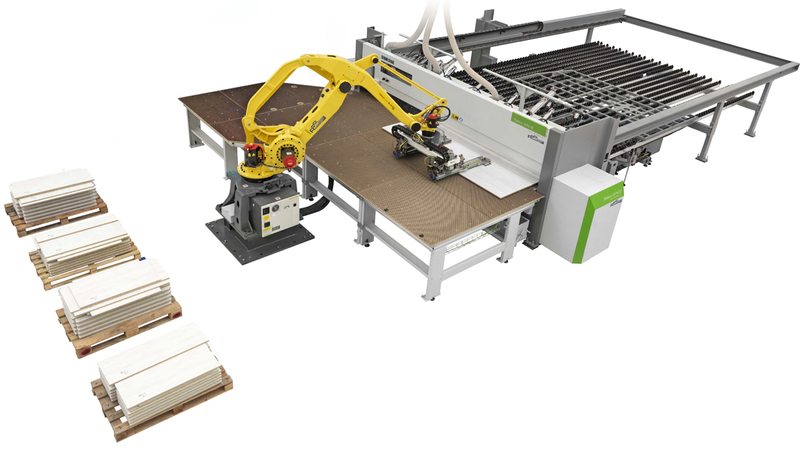 For example, the Selco WN 6 ROS Panel Saw has the added advantage of their patented Twin Pusher 2.1, an exclusive feature available as an option on many Biesse beam saws but standard with the ROS, that enables faster operation, optimizing the movements during the cutting cycle. In addition, the ROS eliminates the need for an operator to stop the machine and handle waste management. Trims fall into a trap and are managed automatically. 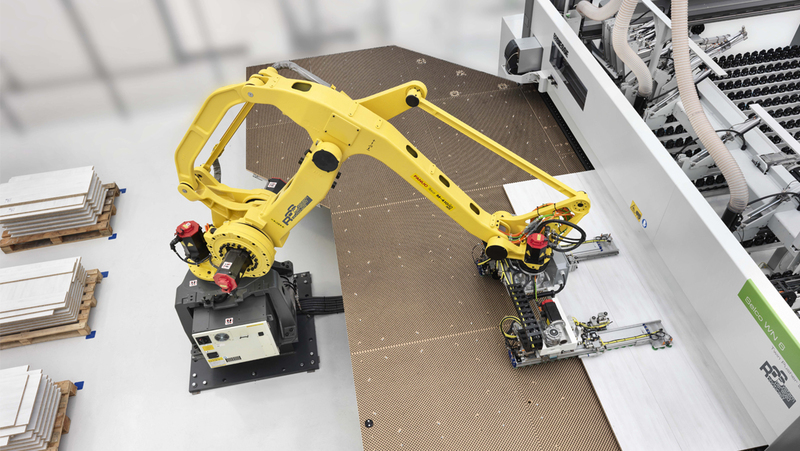 In addition to the new WN 6 ROS Panel Saw, experts in Biesse’s booth at AWFS can fully educate visitors about other panel saw options such as the Selco WN 2, designed for companies who are just beginning their journeys from manual machinery to automated cutting technology.